New Jersey Footlights: Spotlight Players to present Peter & The Starcatcher. Spotlight Players to present Peter & The Starcatcher. 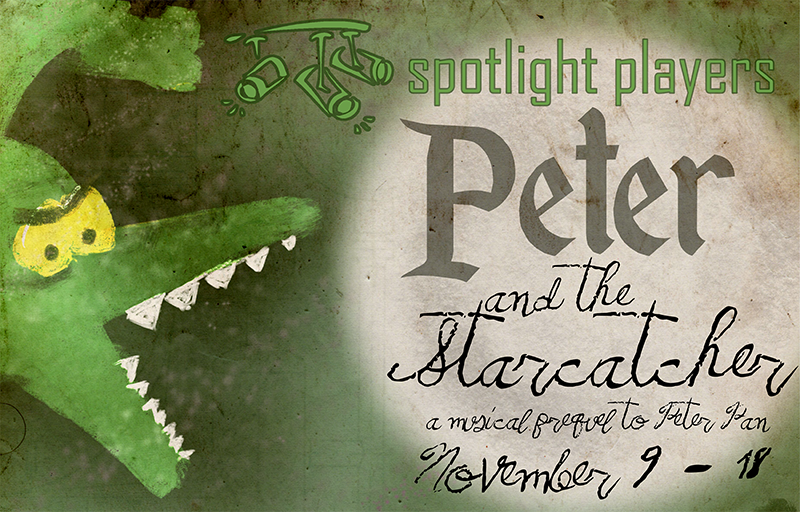 Spotlight Players is pleased to announce the cast of their November production of Peter & The Starcatcher. Join Spotlight Players as we present this Tony-winning play, full of music, comedy, and creative imagery sure to delight audiences young and old. Peter & The Starcatcher tells the story of how a miserable orphan became The Boy Who Would Not Grow Up, Peter Pan. From Victorian England, hop aboard the Sailing Ship The Neverland, and travel with Peter and his friends to a colorful jungle island, pursued by the ruthless Pirate Black Stache and a host of other characters on a theatrical journey you won’t ever forget – or outgrow!